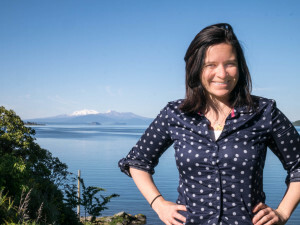 Danielle Murdoch left Brisbane, Australia in October 2010 with the idea to travel halfway around the world from Australia overland through countries such as Sri Lanka, controversial Pakistani, war torn Syria to get to Africa. Where in 2011 she started her African section of her journey. In 2014, exactly four years after she began she surrendered her motorcycle to the Victoria Falls customs in Zimbabwe. Australian Geographic awarded her with the 2015 Young Adventurer of the Year award. In 2010 she was the first recipient to be awarded the Nancy Bird Walton grant for female adventurers. Her journey spanned 24 countries and she weathered eight breakdowns along the way including a 760km tow by another overlander on motorcycle who later married her. Currently Danielle is writing her manuscript. Want to be kept in the book launch loop? Subscribe to her newsletter list.